Douglas MacLean was born Jan. 10, 1890, in Philadelphia, PA. His family moved to Illinois when he was a teenager, and he attended Northwestern University and the Lewis Institute of Technology in Chicago. After beginning a career in bond sales, he met producer Daniel Frohman while on vacation in New York. As a result of Frohman's influence, he enrolled in the American Academy of Dramatic Arts. Frohman gave him some work after graduation, and he toured in stock companies on both the west and east coasts. His first film was "As Ye Sow" with Alice Brady in 1914. While working in stock, he married actress Faith Cole. His film career began in earnest in 1918 when he had a small role in "Fuss and Feathers" (1918) and then two Mary Pickford features, "Captain Kidd, Jr." (1918) and "Johanna Enlists" (1918). After a couple more films, one with Dorothy Gish, he co-starred with Doris May in a romantic comedy, "23 1/2 Hours Leave," which was a big hit. Five more comedies with May followed establishing MacLean as a popular star of light comedies. 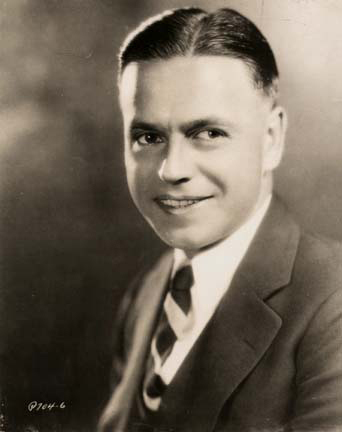 MacLean was known as "The Man With the Million Dollar Smile" and contributed to the success of his films both in front of and behind the camera. From 1922 to 1929 he starred in fourteen features for Paramount and First National, all maintaining the standard light romantic comedy formula that continued to prove successful for him. He made one talkie, "Divorce Made Easy" in 1929, and then retired from acting. He embarked on a new career as writer and producer for RKO, then Paramount. He worked with some of the biggest stars of the day including Wheeler and Woolsey, Mary Boland and Charlie Ruggles, W.C. Fields, Cary Grant and others. He was married a second time in 1931, and then a third time in 1938. This final marriage ended in 1946. He retired from film producing in 1937, but continued to freelance write for movies and television in the 1940's and 1950's. He suffered a stroke in 1962 and died July 9, 1967.